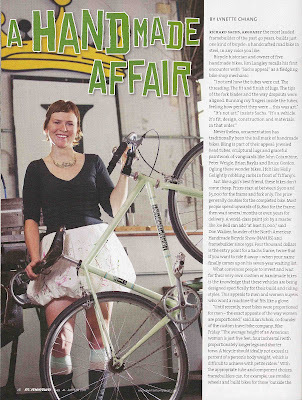 Grab the Jan/Feb 2011 issue of Momentum Magazine when it hits the stands with IF's Leah Pappas-Barnes gracing the cover and the feature story on handmade bicycles. Happy New Year to all and safe riding tonight. Nice! Very cool cover shot. Gorgeous! 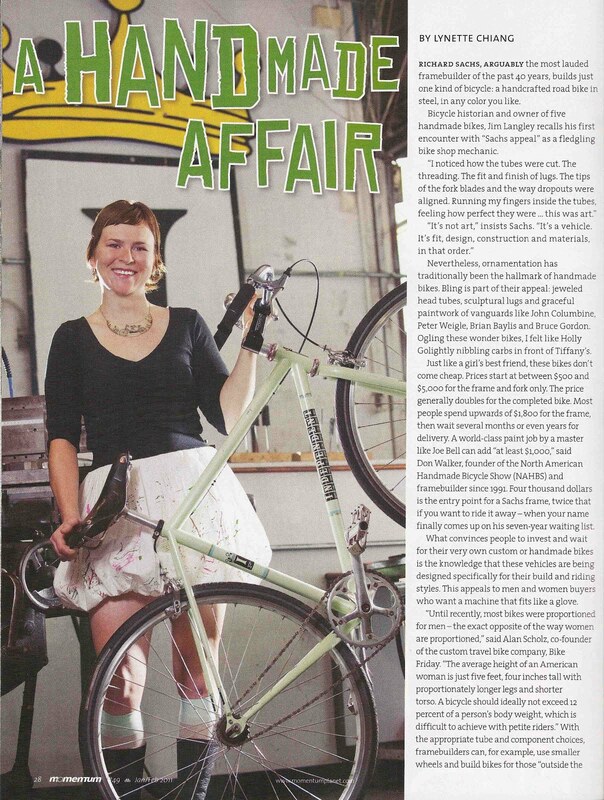 And the bike is nice too.